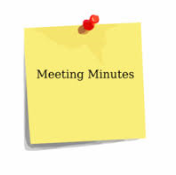 The Parish Council usually meet on the second Monday bi-monthly at 7.30pm at Lady Emily Community Hall but extra-ordinary meetings can be called at any time. Please see below for scheduled dates. Please click on the links below to read the agenda and minutes. The agenda will also be displayed on the notice boards three clear working days before the meeting.